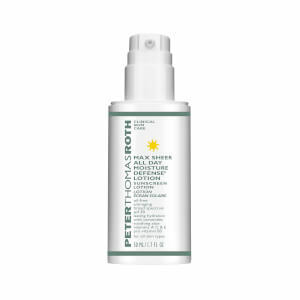 Refresh and brighten your complexion with the Peter Thomas Roth 3% Glycolic Acid Cleanser; an oil-free, anti-ageing formula that helps to improve skin tone and texture. Harnessing the powers of 3% Glycolic Acid and Pro-Vitamin B5, the lightweight, daily cleansing gel expertly dissolves dirt, make-up and impurities, whilst smoothening the appearance of fine lines, wrinkles and visible pores. Expect a refined, clarified complexion with renewed radiance and a youthful glow. Apply a small amount of cleansing gel over moistened skin with the fingertips. Work into a rich, foamy lather and massage gently for one minute. Rinse thoroughly with lukewarm water and gently pat dry. For external use only. 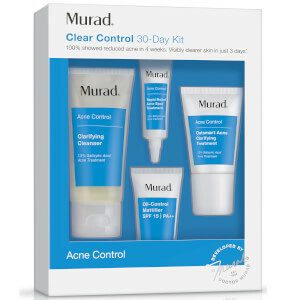 Combination, oily and acne prone skin: Use once or twice daily. Normal, dry and sun damaged skin: Use 2-3 times a week at first, increasing usage if well-tolerated. Warning: This product contains an alpha hydroxy acid (AHA) that may increase your skin’s sensitivity to the sun and particularly the possibility of sunburn. Use a sunscreen, wear protective clothing and limit sun exposure while using this product and for a week afterwards. Water/Aqua/Eau, Sodium Laureth Sulfate, Propylene Glycol, Glycolic Acid, Cocamidopropyl Betaine, Lauryl Glucoside, Allantoin, Panthenol, Arginine, PEG-6 Caprylic/Capric Glycerides, Sodium Chloride, PEG-150 Pentaerythrityl Tetrastearate, Sodium Hydroxide, Potassium Sorbate, Sodium Benzoate, Phenoxyethanol.